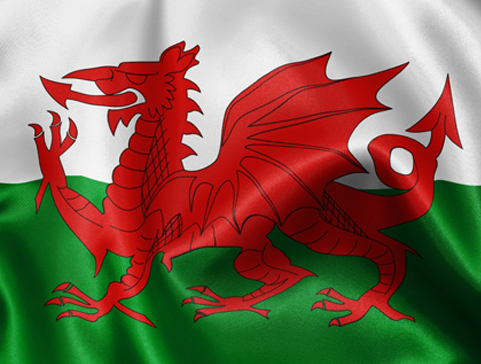 My first wife, whom shall remain nameless, (if you know you know, if you don’t it doesn’t matter) was obsessed with all things Welsh, despite her Swedish/Scots-Irish background. She had a Welsh flag she’d stolen from an ex-boyfriend; not really an ex-boyfriend, just a guy she’d slept with a few times. This guy had the Welsh flag, known as a Gryphon, because he was obsessed with all things Welsh, despite HIS Scots-Irish background. She told me how after sleeping with her, the ersatz Welshman slept with her sister and then told her: “I wish you had your sister’s body.” And she still had a thing for this guy. Disclaimer- I co-incidentally slept with this guy’s sister, much after all of this happened. I actually lived with her a few months and she WAS considered my girlfriend. That was before I married Miss obsessed with being Welsh. So she kept this stolen Welsh flag, the Gryphon, rolled up neatly among her boxes of paint, brushes, rolled canvases and stacks of stolen handmade rice paper. She also made a big deal about John Cale’s appearance at CBGB’s when she was working there as a bouncer. We weren’t even dating at the time, but I watched the shows with her nevertheless, as she expounded on Cale’s Welsh ancestry and the possibility of her own. 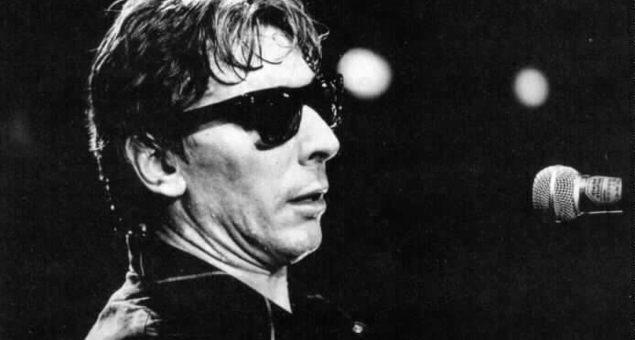 John Cale, maybe at CB’s. In the 80’s (while we were married) we were living on East Houston Street in the East Village and at one point we found ourselves broke and hungry and unemployed. We used to find things in the garbage and sell them on St. Marks Place and in front of Cooper Union. One day we got the idea of making T-shirts, silk-screening designs on them and selling them on the street. I liked the Gryphon design; it was just the right size for a T-shirt. We unfurled it and I traced it on to a sheet of paper, and then transferred the pattern to the screen, which I hand cut. We bought some cheap white Tees and started printing. They sold really well, as did one of an elephant that I’d fashioned from some wallpaper samples we found in a dumpster on Crosby street one day. The elephant design was a big hit with Chinese people for some reason; I think it’s a luck symbol for them or something. Of course we blew all of this money on drugs, we weren’t the best at business. In August of 2011 I had the good fortune of visiting Edinburgh, Scotland. 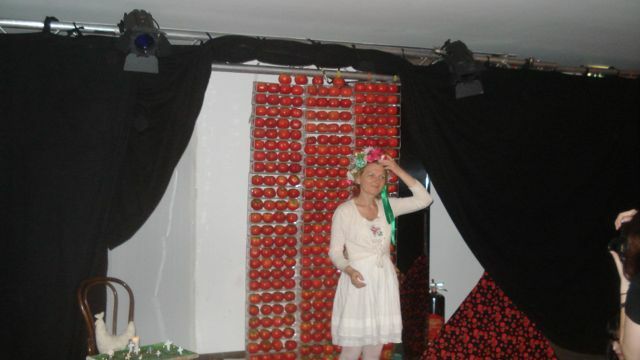 My wife Danusia (who has no ambiguity about her origins) was performing at the Edinburgh Fringe festival, and her show was booked into of all places, the Gryphon Theatre at the Point Hotel on Bread Street. Danusia took it as a good omen that the theater was on Bread Street, as the name of her show was Wonderbread. It turns out the Scots have a thing for red dragons too. Danusia at the Gryphon Theatre. I found a cache of photographs from our UK trip on the digital camera we took with us recently, and wanted to share them, but was wondering in what context I could do that. Of course when we were there and I saw the Gryphon painted on the theater entrance I was reminded of the other Gryphon in my life, of the T-shirts we’d made and sold, of the varied things I know how to do and have done. It was sort of an accomplishment, being in the UK. 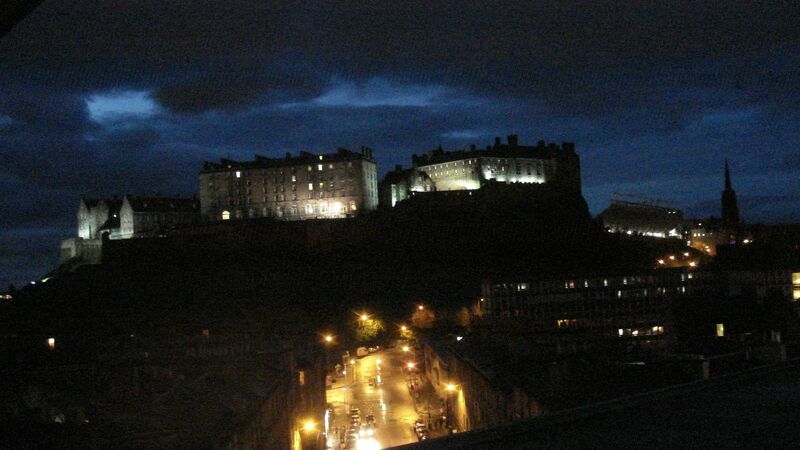 My first view of Edinburgh Castle, from the balcony of the Point Hotel. I didn’t even know it was a castle. 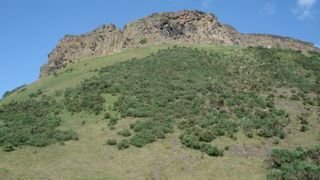 Hollyrood Park, right behind the apartment we stayed at. 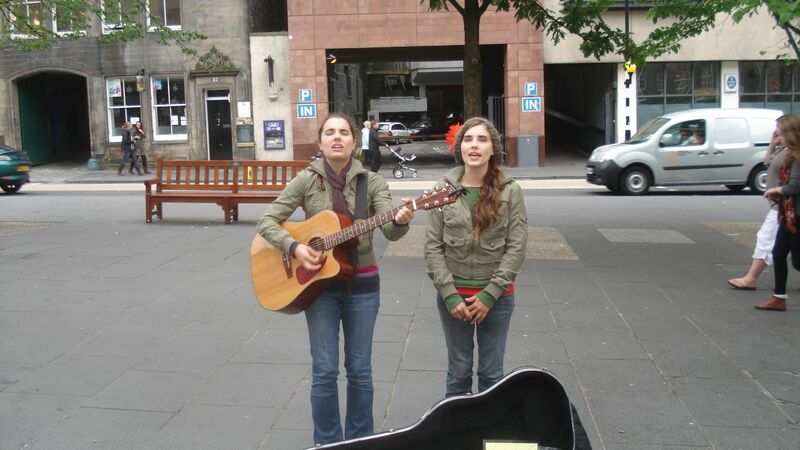 Singing twins on the Royal mile. Look at my tumbler page for more, if you are interested. Thanks for reading and looking, and see you all on Saturday! This entry was posted in Uncategorized and tagged being Welsh, CBGB's on the 70's, cultural identity, Danusia Trevino's Wonderbread show, Edinburgh Castle, Gryphon flag, Lower East side, relationships, Scotland visit, silkscreening, street peddlers, travel. Bookmark the permalink.